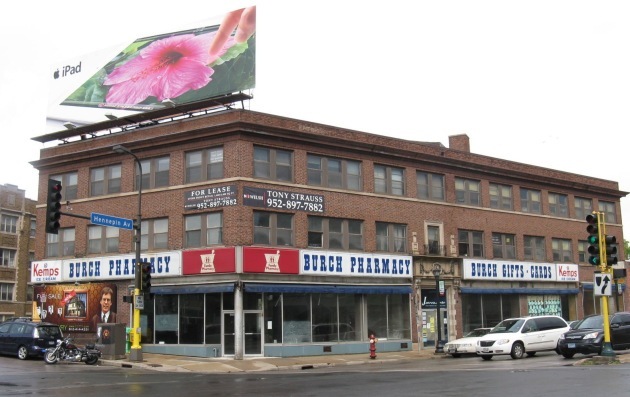 The landmark Burch Pharmacy building at Franklin and Hennepin avenues on Lowry Hill in Minneapolis has just landed a shiny new tenant: A restaurant by Isaac Becker, his wife Nancy St. Pierre and their business partner Ryan Burnet, three of the forces behind the insanely popular Bar La Grassa. There will be beef, yes, all kinds of it. Becker is promising a variety of cuts in a range of sizes and prices. Becker and St. Pierre also own 112 Eatery, and Burnet is co-owner, along with Tim Rooney, of the Barrio empire. Julie Snow Architects of Minneapolis is designing the project, which has a vague late-2012/early 2013 opening date. The restaurant will cover most of the drug store’s street-level footprint, with a 100-seat dining room and bar and an open kitchen. The limestone-lined basement will house a small kitchen equipped with a wood-burning oven (“All of the food that we serve in the basement will come out of that oven) for a casual, neighborhood cafe-style 50-seat bar and dining room. That busy Franklin-Hennepin intersection has particular significance for Becker, winner of last year’s Best Chef: Midwest accolade from the James Beard Foundation. He once lived in the apartment building across the street from the former drug store (“It’s where I bought my shampoo and toothpaste,” he said) and spent five years cooking next door at the former Lowry's (now Rye Deli). 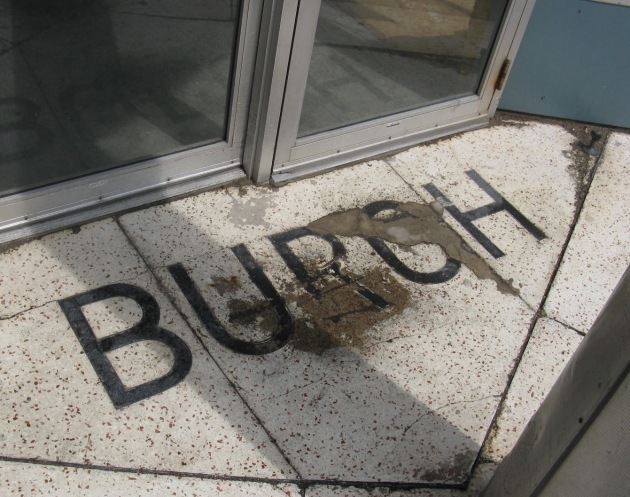 Diners interested in a Burch preview need look no further than the 112 Eatery. On the first Tuesday of every month, Becker is offering a four-course dinner for $50, and using each course as a test-drive for possible Burch menu items. Reservations are essential. As for the future of the building's famous -- or is that infamous? -- street-level billboard (the oft-vandalized one featuring real estate agent Cotty Lowry, which has graced the structure's south facade for years), that's up in the air. "No one really knows," said Becker with a laugh. "Some people want to keep it, some don't. I don't have a preference. Ryan said that Cotty is a really nice guy, so I wouldn't be surprised if it stayed."